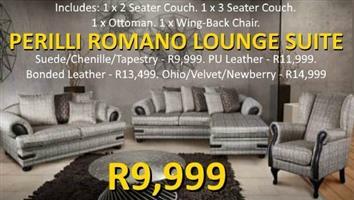 PERILLI ROMANO LOUNGE SUITE - FANTASTIC OFFER!! 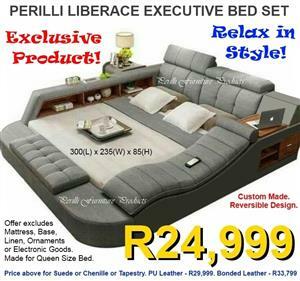 PERILLI 6 Piece, Executive Corner Suite. 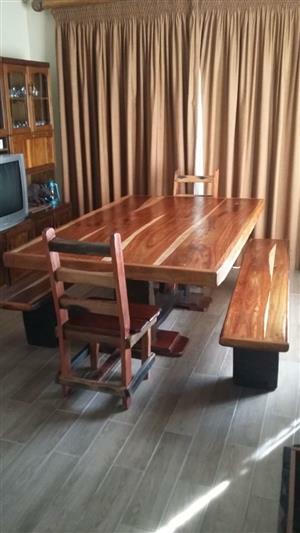 Model 9005. 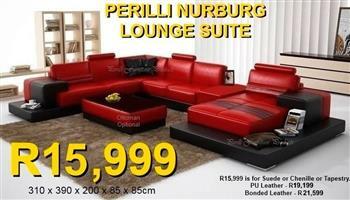 PERILLI 6 Piece, 5 Recliner Suite In Air-Leather. 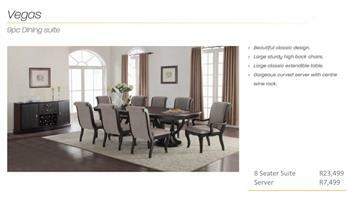 Model 8008. 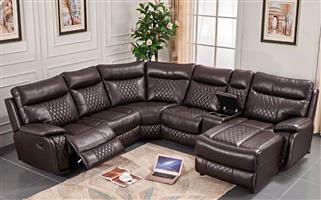 PERILLI 6 Piece, 5 Recliner Suite In Air-Leather. 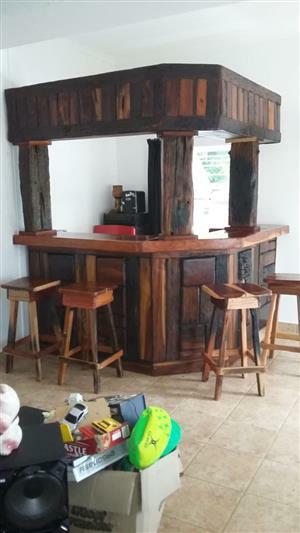 Model 8005. 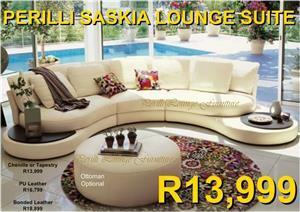 PERILLI SASKIA Half-Moon Suite R13,999 - Suede or Chenille or Tapestry. 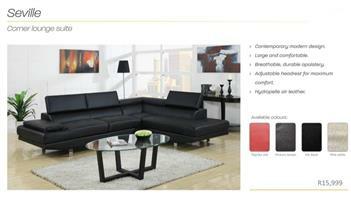 R16,799 - PU Leather R18,899 - Bonded Leather Main Couch 400 x 85 x 85cm. 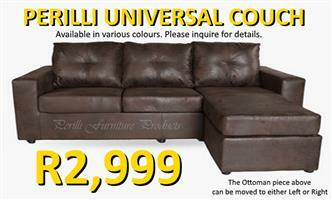 ​Ottoman - 80 x 45cm. 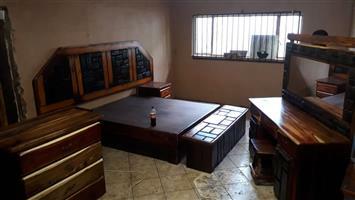 5 Large Pillows Included. 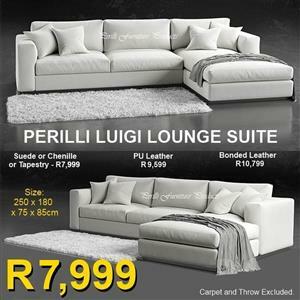 PERILLI LUIGI Corner Lounge Suite R7,999 - Suede or Tapestry or Chenille. 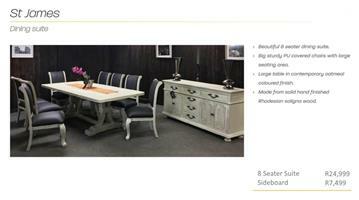 ​R9,599 - PU Leather. 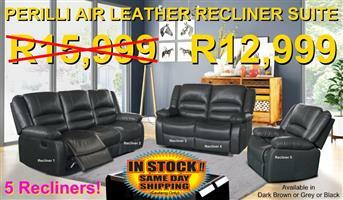 ​R10,799 - Bonded Leather. 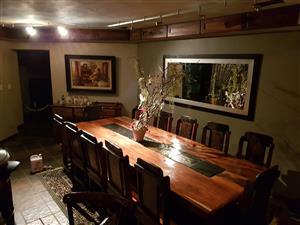 Please note that the "L" design can be reversed. 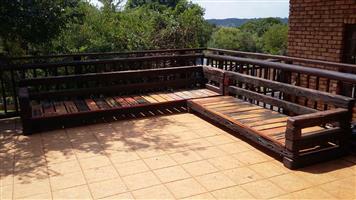 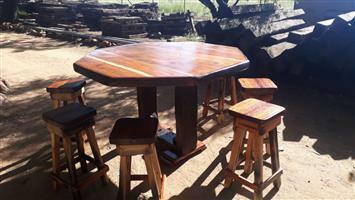 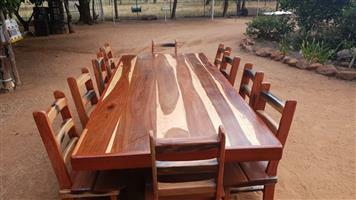 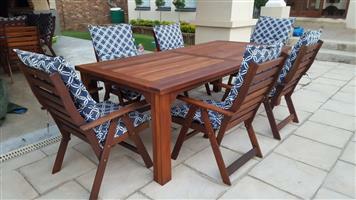 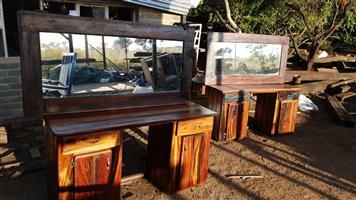 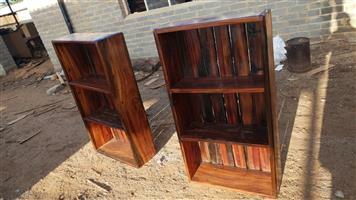 Get an email notification for any Results in Furniture in Port Elizabeth when they become available.